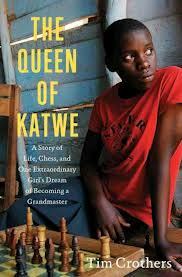 “The Queen of Katwe,” by Tim Crothers, is the story of an incredible young girl, who against many odds, surprises many by learning and mastering the game of chess. Phiona and her peers are growing up in the Ugandan slums of Katwe, an area in the country’s capital city, Kampala, where children don’t know their birth dates or even how to spell their own names. It is a place where children struggle to eat each day, where parents die of AIDS regularly, and where families move from shack to shack, living wherever they can afford. In this life of day-to-day survival, one young man, Robert Katende, working for Sports Outreach Institute, begins a ministry first focused on soccer, then on chess, and the game captivates the children of the area. Katende relates well to these children, as he, too, grew up in the severe poverty of Katwe. 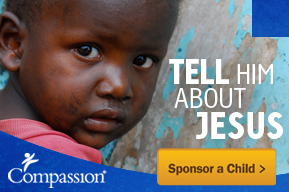 In fact, Katende’s story of survival and pulling himself out of the slum is quite as impressive as Phiona’s. Considering these circumstances, it’s no wonder that a bowl of porridge is what first attracted the children to Katende’s group. Phiona is a bit of a late-comer to the group, but after following her brother there one day, she becomes a fixture. She learns the game first from a much younger girl, but soon surpasses many in playing ability. She later practices using bottle caps and a chessboard drawn on scraps of cardboard. As Phiona travels out of the country and experiences other cultures, her eyes are opened to the fact that there is more out there, more to reach for, than Katwe. On these trips to chess tournaments, she sleeps in hotel rooms on real beds and eats from buffets with endless amounts of foods offered. But after each tournament, she must return to the reality of her home. It won’t be an easy road for her to reach her goal of becoming a Grandmaster, as many young women much more privileged than Phiona can attest. But where she had nothing to strive for before, she now has a goal and, more importantly, hope. This entry was posted in Books, Compassion International and tagged chess, hope, Katwe, Phiona, Queen of Katwe, Robert Katende, Sports Outreach Institute, Uganda.